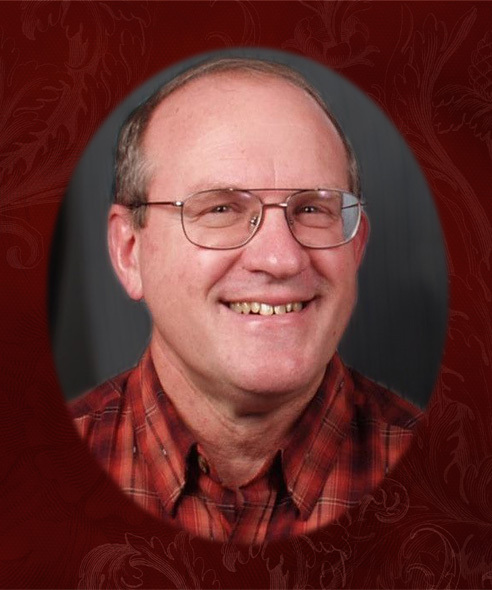 Our loving father, Bruce Thomas Bennett, of Twin Falls, passed away peacefully on January 19, 2019, from a pulmonary embolism. He was encircled in the arms of his sweetheart of 44 years. Dad was born the baby of six siblings on March 20, 1953 in Hansen, Idaho, to George and Fern (McFarland) Bennett. He spent his childhood in Hansen and Jerome, where, among many things, he learned to work on the family farm. Dad inherited his father’s love of facts, education, and music and his mother’s gentle and kind heart. Dad graduated from Jerome High School in 1971 where he cultivated a love and talent for singing. Dad served two years in Germany on an LDS mission and three weeks after returning married his high school sweetheart, LoyAnn Casper of Wendell, on December 18, 1974. Together, they made a promise to create a marriage that would last forever. Dad graduated from BYU with a bachelor degree of English and later finished a master degree of Adult Education. They raised their family in Jerome and then Filer before moving to Twin Falls. Dad spent his early parenthood working odd jobs and farming, before he secured a job teaching at CSI. Dad absolutely loved being a teacher and never wanted to do anything else. He was loved in return; we could hardly go anywhere without being stopped by someone who had been his student. After retiring, mom and he spent two years teaching at Jiaotong University in Xi’an, Shaanxi, China. They were looking forward to another teaching assignment in Tonga. Dad loved people and cultures, and he cherished history, science, music, theatre, and literature. He inhaled everything that he saw from everywhere he went including new stories, cultures, foods, people, and languages. Dad’s wide-eyed enthusiasm and joy only increased throughout his life. As the children of teachers, we spent every summer driving across the country stopping at every historical sight available, childishly underappreciating the long hours and the cramped van with no air-conditioning, but unwittingly gaining priceless admiration and awe for the world around us. As adults, we still stop at every historical site along the road. Dad gave us the gift of loving our mother completely and without abandon. Anyone who ever had the enjoyment of seeing the way he looked at mom knew this. He spent 44 years opening the car door for her and reaching for her hand. Not too many anniversaries ago, we walked into their house and found it covered with sticky-notes. Dad had written love letters to mom and posted them on every possible surface. The same went for us children. We were gifted unconditional love and acknowledged with a modest, bursting pride. Sometimes this came with a knuckle to the head or a leather belt, but we never doubted where we stood with dad. Most people never get the chance to be loved like we have been. Few things in life were as satisfying as making dad laugh. First, because dad’s laugh overtook his whole body and contained a childish giggle that could make all worries melt away and, secondly, because you had to earn it. Dad loved to laugh but only at something truly funny. One of the greatest accomplishments anyone could have, was to tell a joke, insert a bit of sarcasm, or perfectly deliver a story that would make dad laugh so hard he would cry. That is when you knew unfettered elation. Dad lived a life of simple and pure contentment. He loved to putter with different projects around the house, and he loved figuring things out. He was easy to please; a box of Whoppers or a good book would do the trick, and his patience was unrivaled. Dad was the driver that gladly let traffic merge and, with a wave of his hand and a smile, lectured us that few things are worth getting upset about. Dad didn’t care about schedules and had no use for a watch. He knew that he always had time for whatever he was doing and was never in a rush. Which also meant that he was always late to any planned activity or meeting, but he never cared. Dad also always had time for the people in his life. He spent hours playing catch or pitching to us, coached our summer league teams, enforced our chores, sat in his rocking chair and listened, cheered our successes, took long walks, and gleefully went along with senseless plans. Dad had the unnatural ability to see good in all people and could love even the loveless. As a member of the Church of Jesus Christ of Latter-day Saints, he dedicated his time to serving others in many capacities, and he never refused assignments or turned away people in need. Dad loved God and had hope for all people. Dad recently told us, as we gathered together, that the only words of wisdom that he could pass on to his posterity were that “family is everything.” He spent his whole life accumulating a wealth that can’t be seen. Dad was one of the few people that accurately comprehended the worth of relationships and he died a very rich man. And he knew it. Dad is remembered by the love of his life, LoyAnn, his five children, Heidi (Kirk) Tubbs, Andy Bennett, Amy (Zach) Patterson, Tami (Derek) Eccles and Matt (Ashley) Bennett, seventeen grandchildren, three sisters (June, Beth, and Mary), one brother (Dan), and the countless others whose lives are forever changed from knowing him. He left the world a little better than the way he found it, and we will try to carry on his legacy. Funeral services will be held at 11:00a.m., Wednesday, January 30, 2019 at the Church of Jesus Christ of Latter-day Saints, 824 Caswell Ave W, Twin Falls, Idaho. A viewing will be held from 6:00p.m. until 8:00p.m., Tuesday, January 29, 2019 at the church, and one hour prior to the service at the church. Burial will follow at Twin Falls Cemetery. Bishop Brent Nielsen will officiate. Services are under the direction of Serenity Funeral Chapel Life Celebration Center and Cremation Services of Idaho, Twin Falls.